Today was a delightfully mild day for December in Seoul, about 7 degrees C with a light wind and sunny. 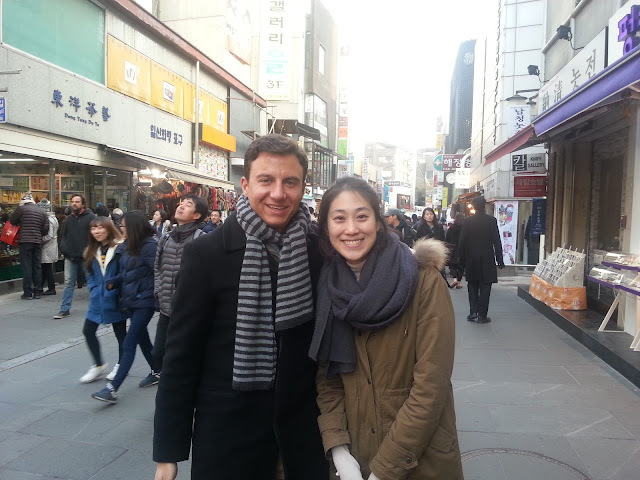 I needed to do some Christmas shopping, so fortunately my Korean friend Sangok agreed to guide me through the gift shops of Samcheongdong and Insadong. Samcheongdong is a charming area with many cafes, restaurants, and art galleries. I started my afternoon by downing a delicious breaded pork cutlet filled with kimchi and cheese in a cozy diner. We then navigated to a couple shops – I don't want to give away what we found lest I give away to my family what gifts I will be bringing home in my suitcase! We stopped for coffee, then walked south to nearby Insadong, a more popular pedestrian mall full of small art galleries, craft shops, and tasty restaurants. This is by far the best place in Seoul to go hunting for Korean souvenirs and I had an easy time finding good presents inside the many shops. Again, I won't give away what I purchased, but I did find traditional Korean wrapping paper to place all my gifts in! Insadong was lively today. 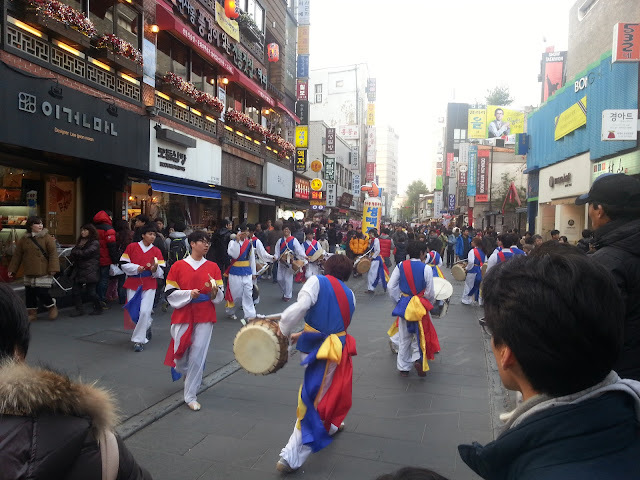 We saw a musical "get out the vote" parade (the Korean presidential election is December 19th) as well as a traditional performance of the Samul Nori performed by a group of college students. I wished I had my real camera as my Samsung Galaxy S3 could barely capture the action. 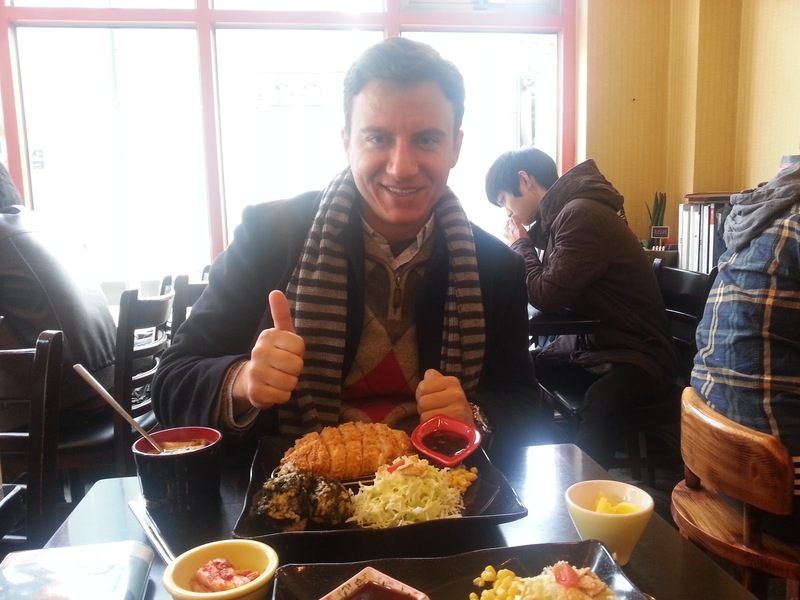 My future visitors to Seoul will certainly receive a tour of this area!